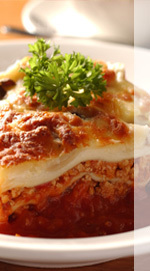 Welcome to our menu of great Italian foods at Rino D’s Pizza & Wings! 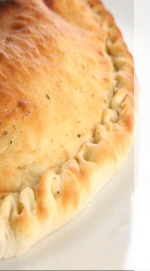 We are very proud of our menu, and take great care in the preparation of our pizza, calzones. wings and all of our fine products. Rino D’s Pizza and Wings is proud to serve the Gilbert Arizona area! Our mission at Rino D’s Pizza & Wings is to consistently deliver the highest quality food – pizza, wings, pasta, sandwiches, salads, and more – made with the freshest ingredients at an affordable price by a friendly and courteous team. Don’t forget to check out our Specials as well. Whether for a great family meal at home, or to have the best Italian food, sandwiches and wings at your next party, contact us at Rino D’s Pizza and Wings! Online ordering available! We cater! Huge, meaty wings served with Ranch dressing. Blue cheese available upon request. All white meat chicken with any signature sauce. Your choice of Ranch, Italian, Greek, Blue cheese, Balsamic Vinegar, or Caesar dressing on the side. We top our made-from-scratch crust with homemade pizza sauce & the freshest toppings to create our famous hand-tossed pizzas, smothered with whole milk mozzarella. Our supreme pizza is supremely satisfying! With real Italian sausage, pepperoni, ham, mushrooms, green peppers, and red onions. Pepperoni, ham, Italian sausage, bacon & ground beef. Put a cheeseburger on a crust & go to town! You won’t regret it! Smoked bacon, ground beef, and red onions covered with mozzarella & cheddar cheese. Your choice of chicken breast or Italian sausage, artichoke hearts, tomatoes with zesty white sauce. Ground beef, jalapenos, red onions, fresh tomatoes & black olives. Fresh tomatoes, red onions, green peppers, black olives & fresh mushrooms. Gyro meat, red onions, feta cheese, green olives, tomatoes & homemade Tzatziki sauce on the side. For those who want extra cheese! Mozzarella, feta, cheddar & Gorgonzola. Genoa salami, pepperoni, ham & red onions. Tomatoes, fresh mozzarella, roasted garlic, fresh basil. Homemade pesto sauce, bacon, Italian sausage & fresh mushrooms. Artichoke hearts, roasted red peppers, green olives, roasted garlic, topped with cheddar cheese. Our famous homemade Buffalo sauce topped with chicken breast, red onions & melted cheddar cheese. Our signature BBQ sauce topped with chicken breast, red onions, fresh tomatoes, melted cheddar cheese. Italian sausage, fresh mushrooms, roasted red peppers & red onions. These pizzas are gluten-free, and are prepared in a separate, gluten-free food preparation area. While we take extra precautions to keep our pizzas gluten-free, there is still allergen in our kitchen. Gluten-free pizza is excluded from any specials, coupons and offers. Pepperoni, Bacon, Ground beef, Ham, Meatball, Genoa salami, Italian sausage, Gyro meat, Chicken breast*, Anchovies, Artichoke hearts, Green peppers, Fresh tomatoes, Red onions, Roasted garlic, Roasted red peppers, Mushrooms, Jalapenos, Black or Green olives (may contain pits), Spinach, Hot pepper rings, Pineapple, Fresh Basil, Feta cheese, Gorgonzola cheese, Cheddar cheese, Parmesan cheese. Calzones are stuffed with whole milk mozzarella & ricotta cheese, homemade pizza sauce and made from scratch. Marinara on the side. SICILIAN – Salami, pepperoni, ham & red onions. MEXICAN – Ground beef, jalapenos, red onions & black olives. 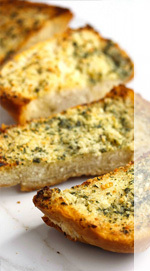 Served with our delicious homemade garlic bread. 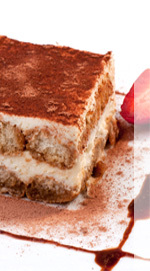 Made on rustic Italian handcrafted bread, topped with whole milk mozzarella and baked to perfection. Meatballs, homemade Marinara, melted mozzarella and Parmesan cheese. Tender chicken breast, our signature Marinara, melted mozzarella and Parmesan. Pesto sauce, chicken breast, roasted red peppers, melted mozzarella cheese. Italian dressing, artichoke hearts, roasted red peppers, roasted garlic, green olives, melted cheddar and mozzarella cheese. Pesto sauce, chicken breast, fresh mozzarella, sliced tomatoes and fresh basil. Tender chicken breast, smoked ham, mozzarella cheese, lettuce and fresh tomatoes with Ranch dressing. Homemade Marinara sauce, Genoa salami, pepperoni, ham, red onions, melted mozzarella cheese. Pesto sauce, fresh mozzarella, sliced tomatoes and fresh basil. All produce is brought in locally & prepared fresh daily! Winner of People’s Choice Award for Best Pizza! 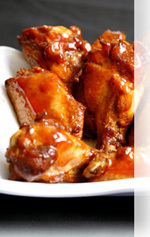 Rino D’s Pizza & Wings, established in 1998, is dedicated to providing the highest quality food! 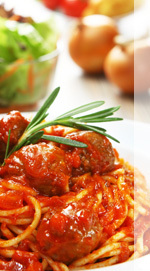 Made by our courteous and friendly team from garden-fresh ingredients, and served with exceptional customer service, Rino D’s Pizza & Wings provides the best in Italian-style cooking to the Gilbert and Mesa, Arizona communities. 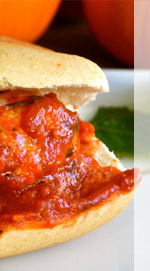 pizza, wings, pasta, sandwiches, salads, and more ! We accept Visa®, MasterCard®, Discover®, American Express®, cash & debit. Looking for Food and Fun? Rino D’s Pizza is proud to be partnered with Jester’s Billiards!! Copyright © 2018 Rino D’s Pizza & Wings. All rights reserved.